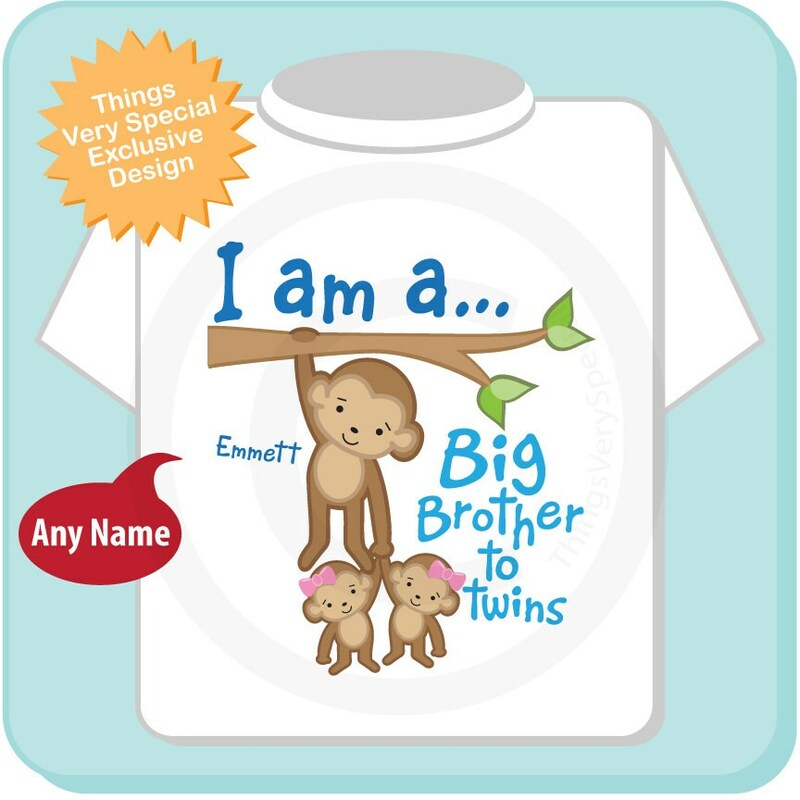 Super cute Personalized I am a Big Brother to twins tee shirt with two awesome twin girl monkeys with him. If you'd like a different combination please contact me. I got this shirt for my nephew and it was a hit. I only wish the name were larger. The shirt is quite beautiful and the colors are vibrant. Care instructions are included! 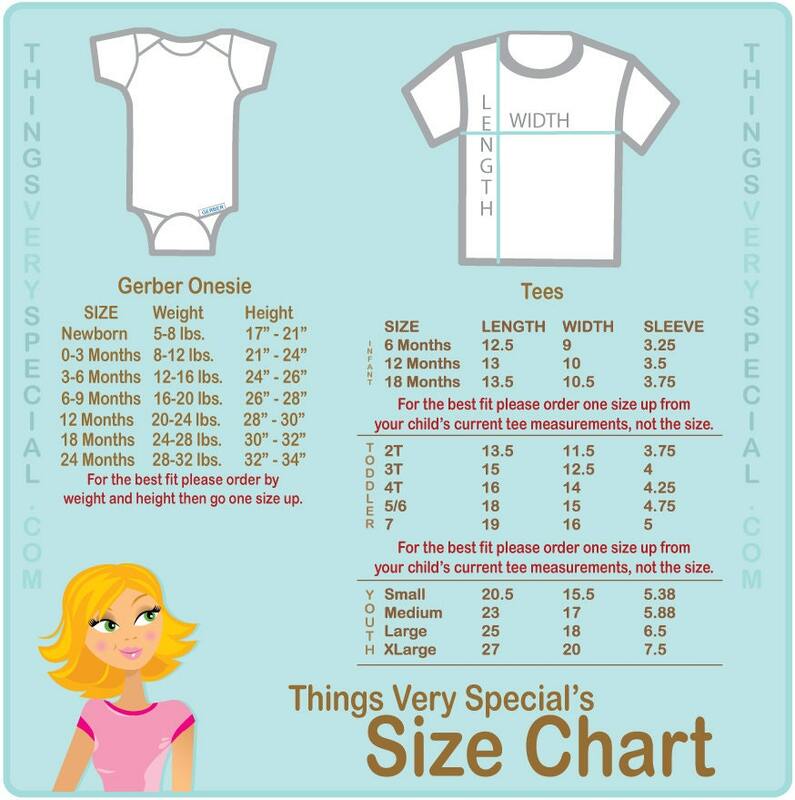 I love this shirt and recommend to all! Great product and super fast shipping! Love it!